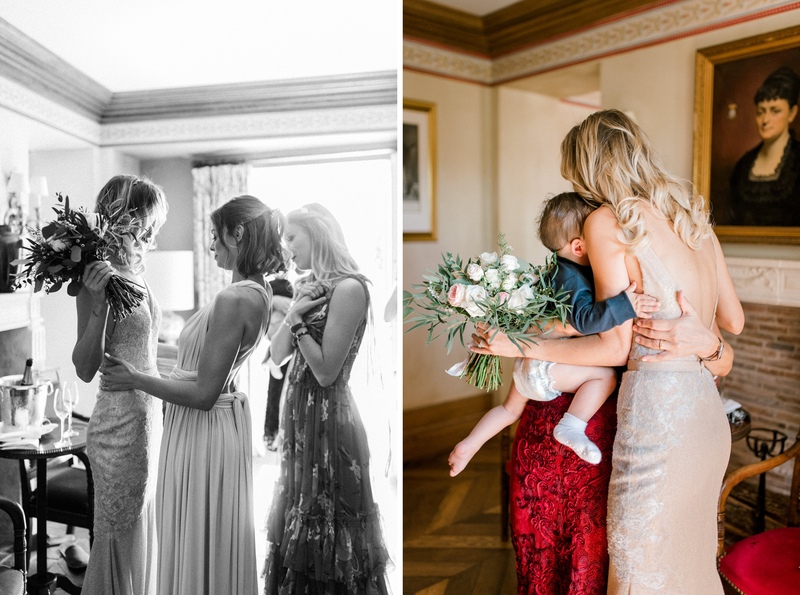 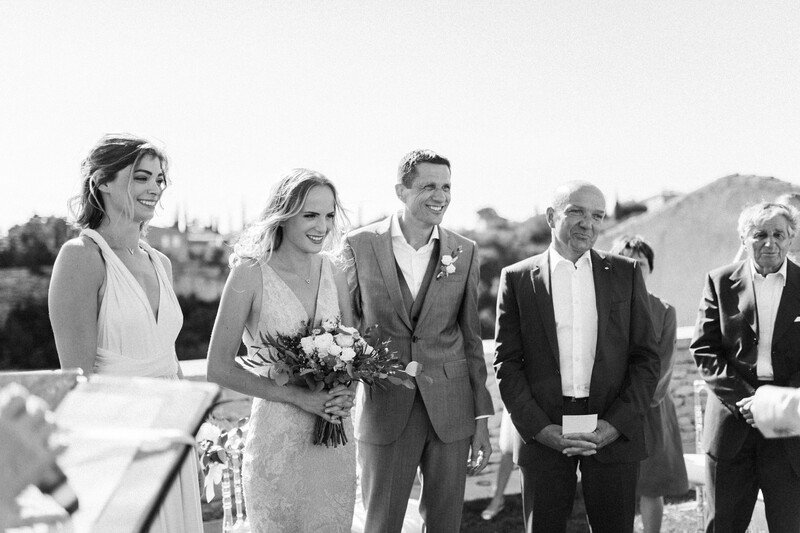 We got to meet our Swiss couple, Margaux & Frédéric earlier last May when we had photographed their civil wedding as well as their beautiful baby son Paul, a few days after his birth. 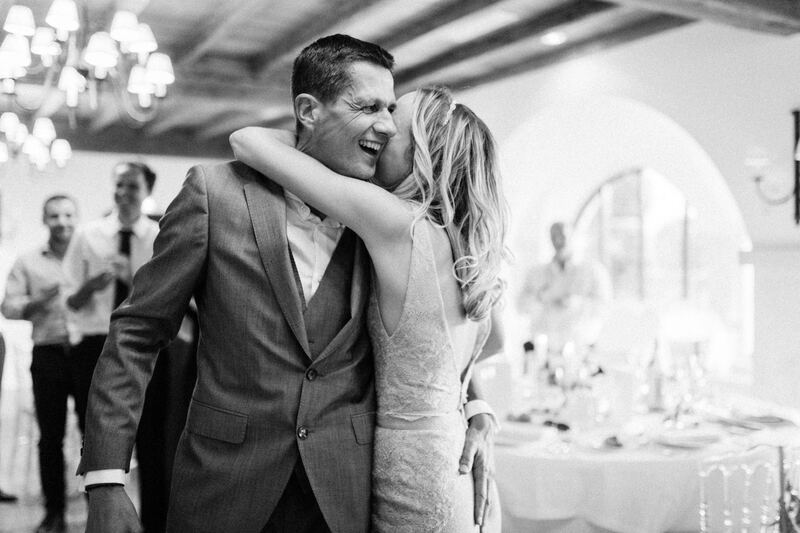 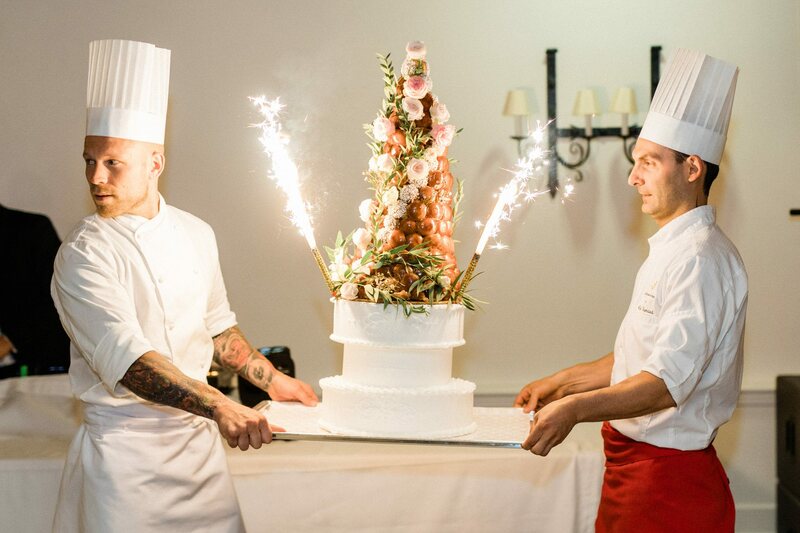 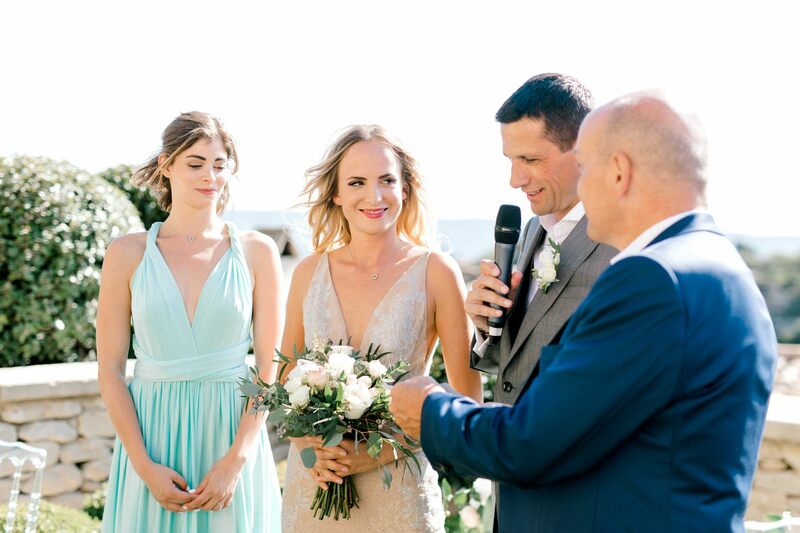 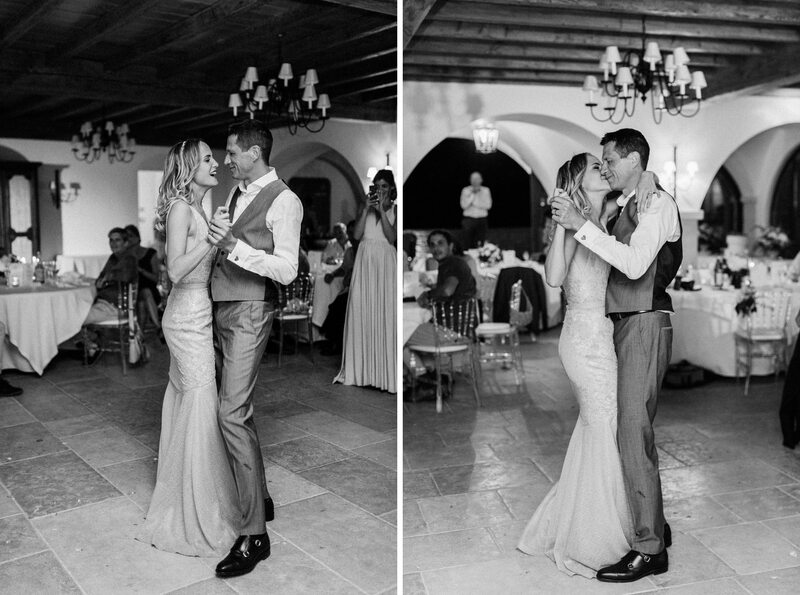 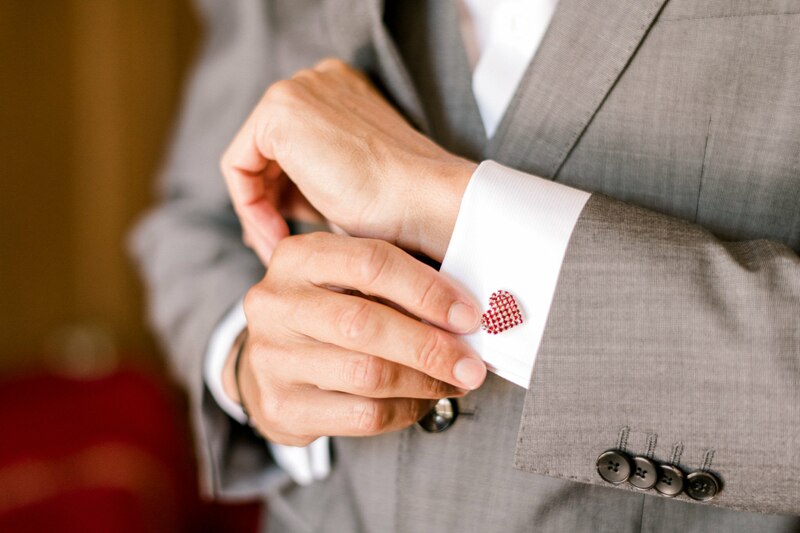 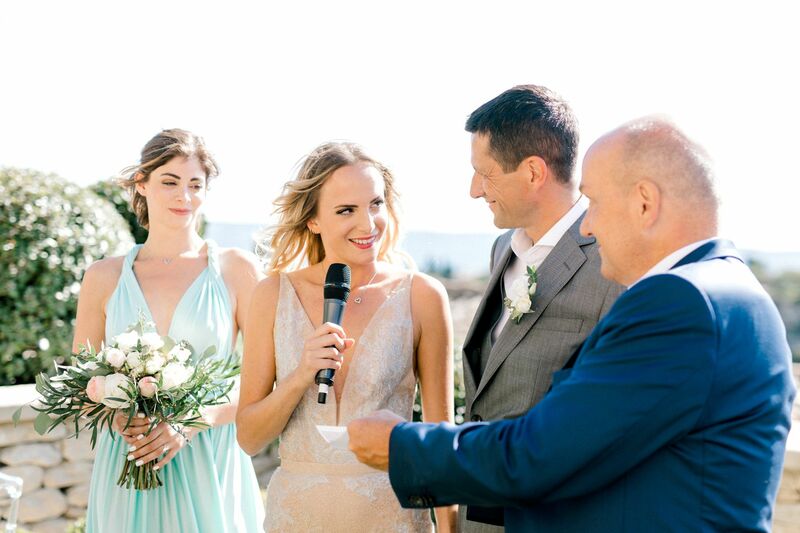 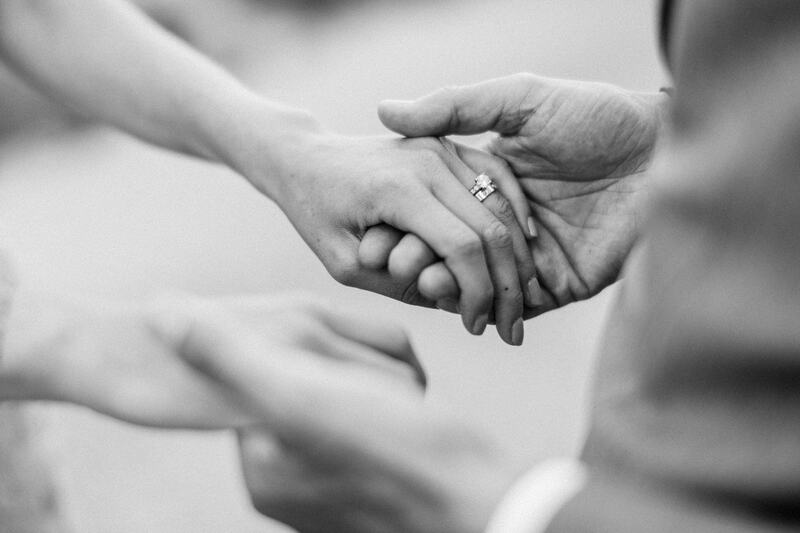 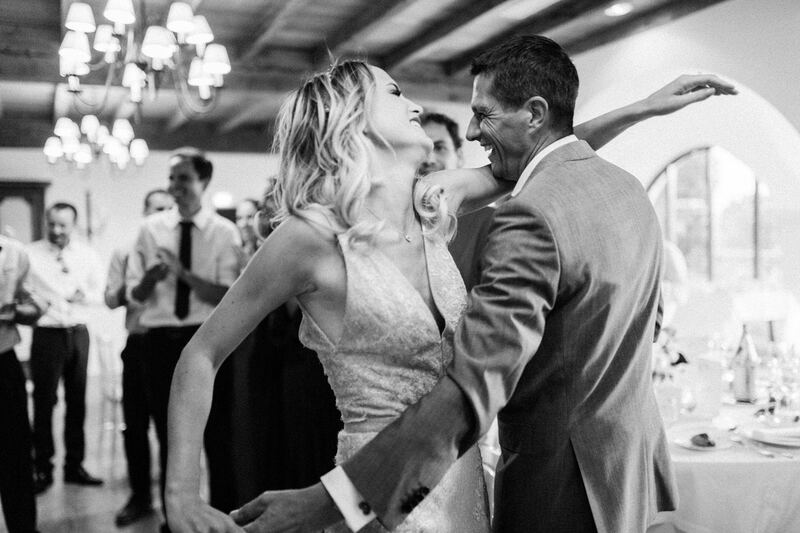 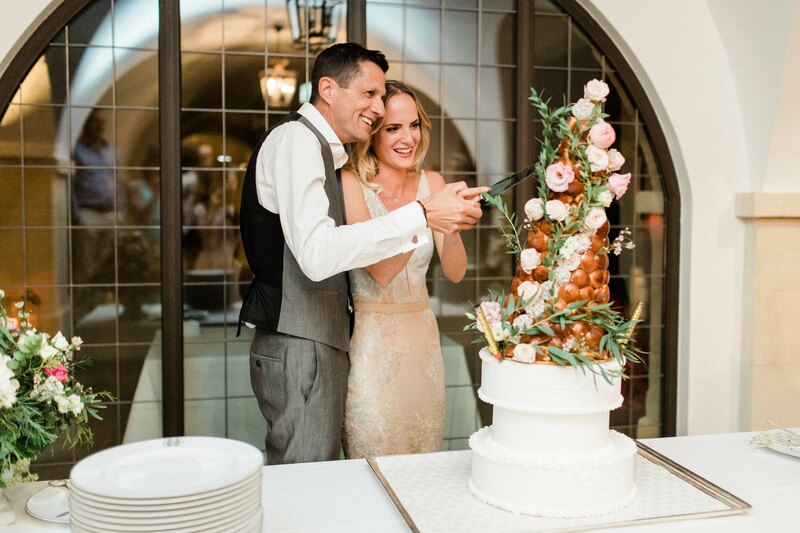 Now it was time to celebrate their union with a religious ceremony and we were simply thrilled to see what they had in store. 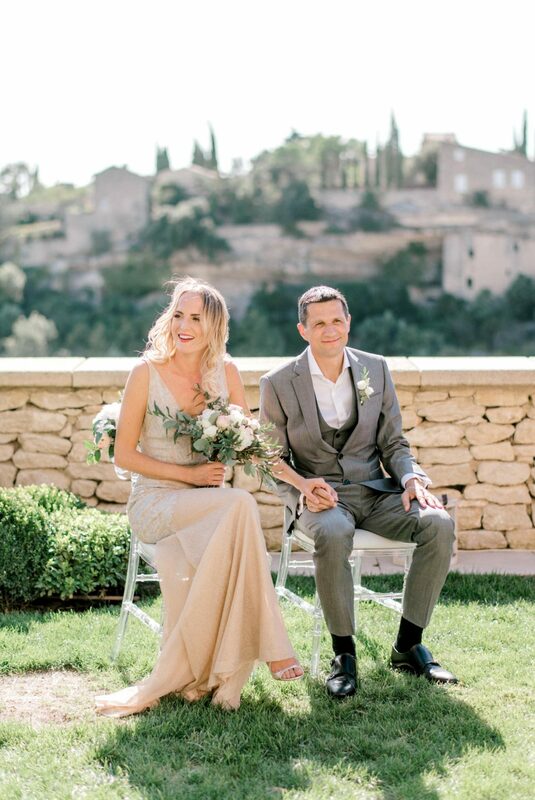 Only a 5-hour drive from Valais, Switzerland where our couple and their guests come from, we stepped straight into an impressionist canvas! 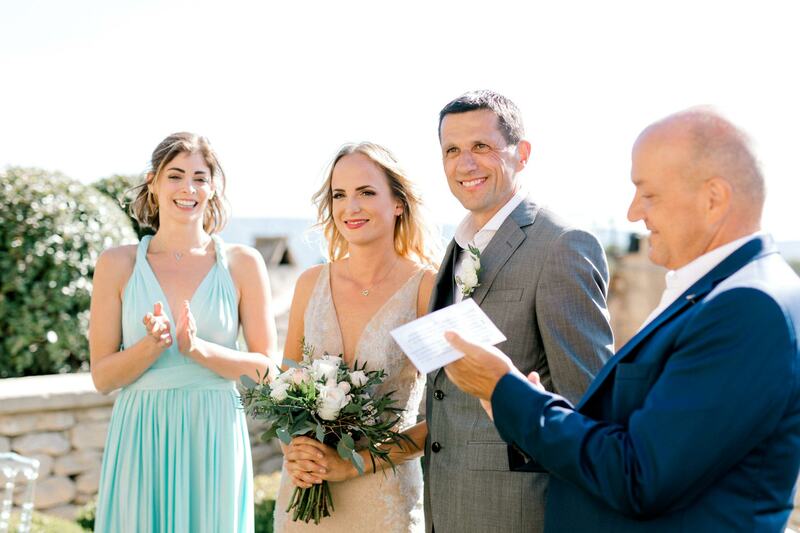 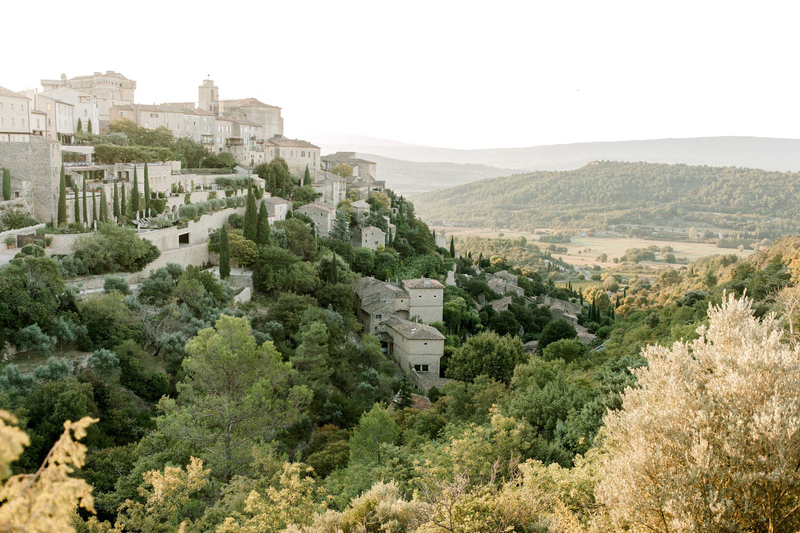 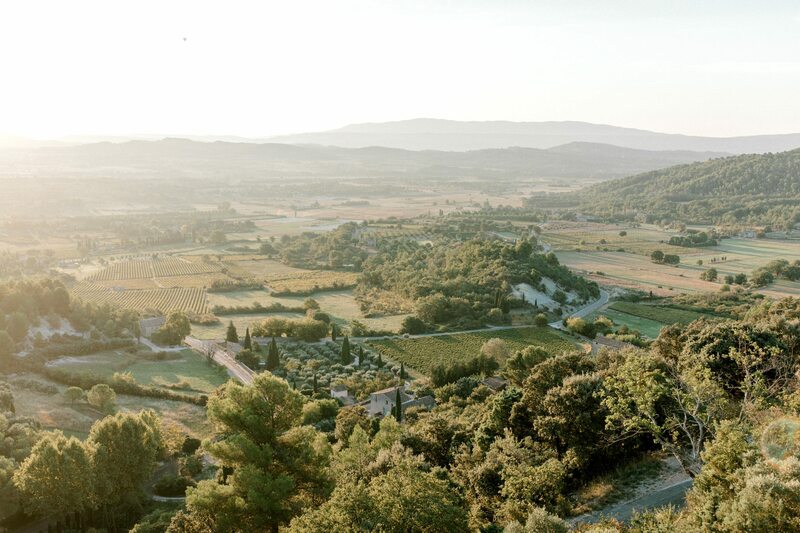 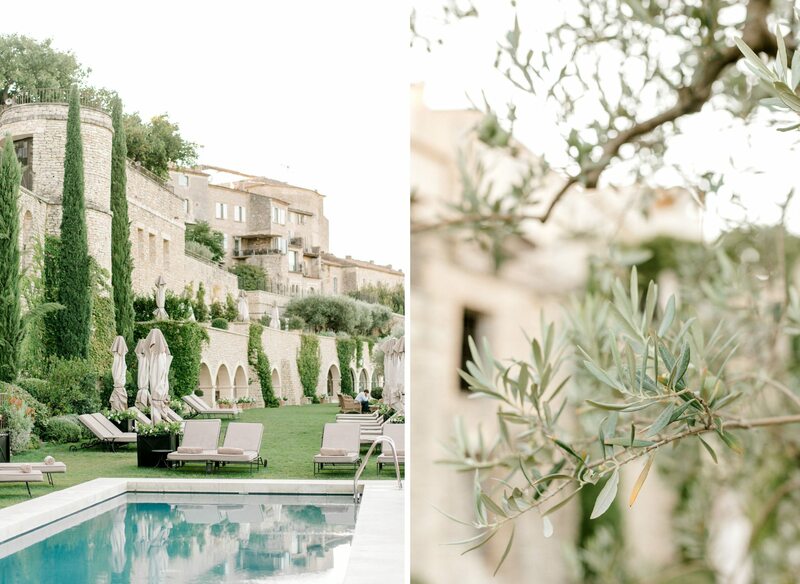 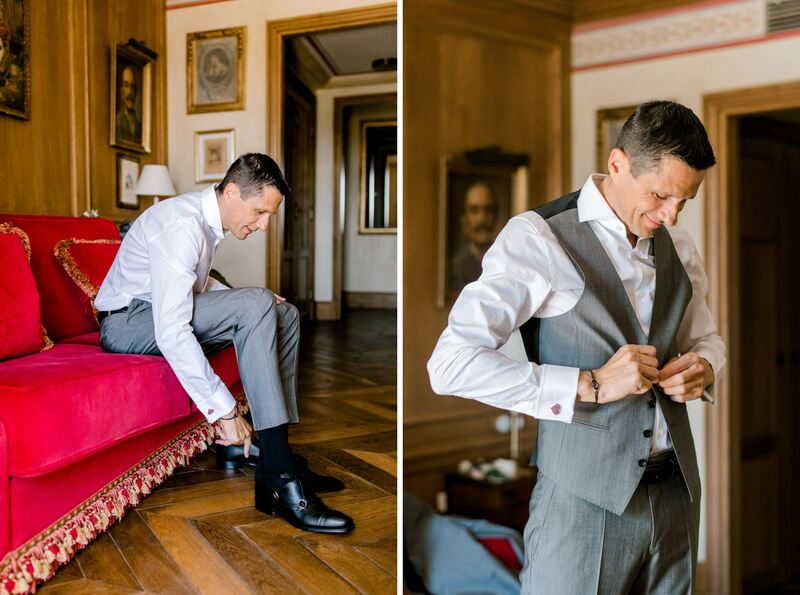 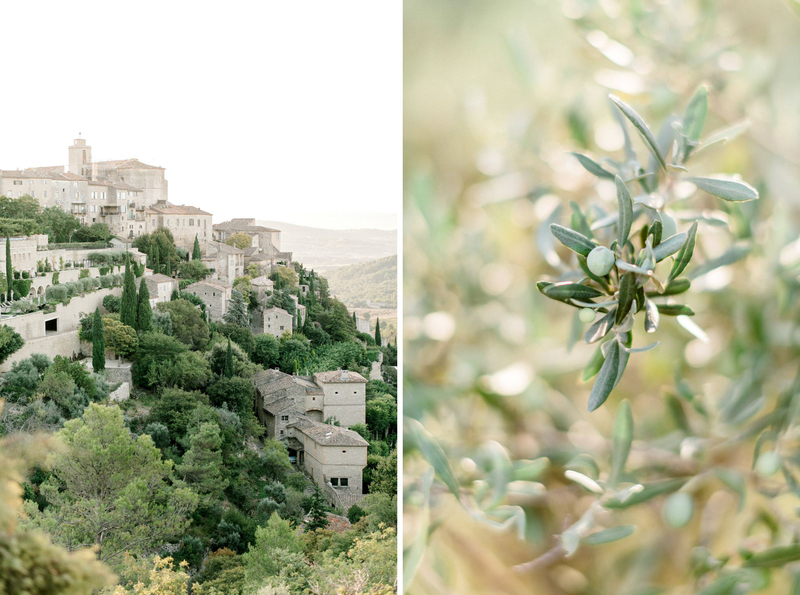 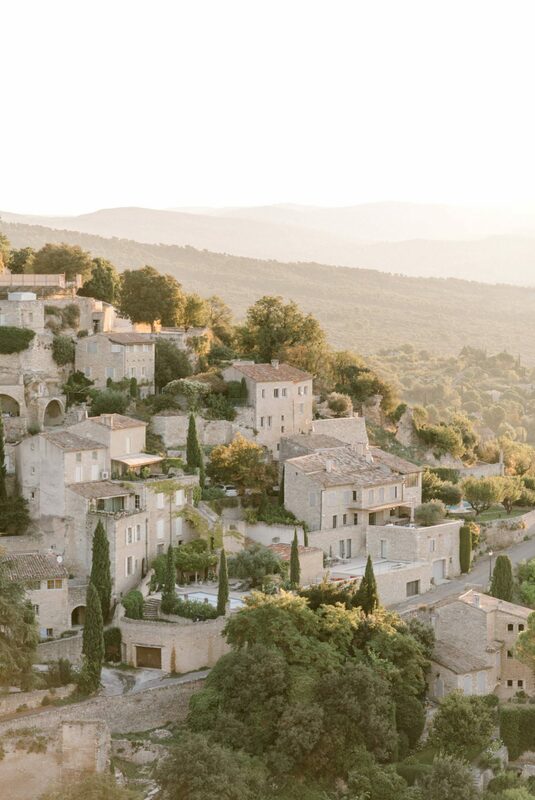 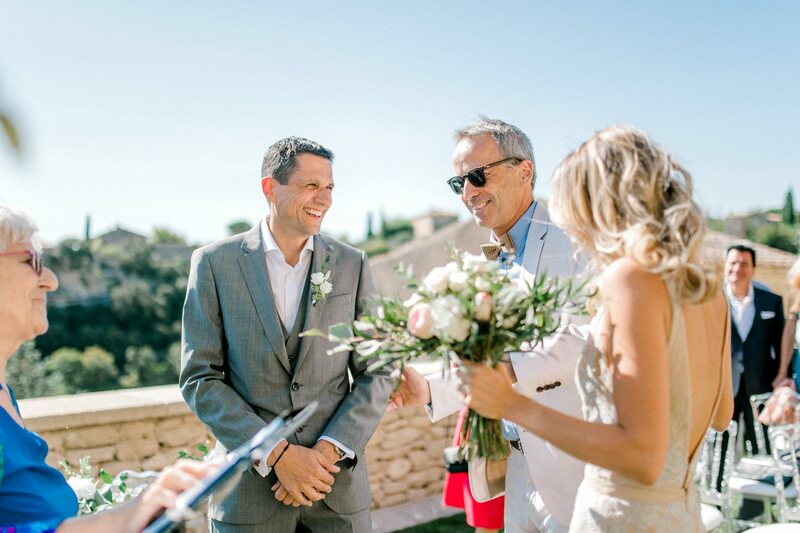 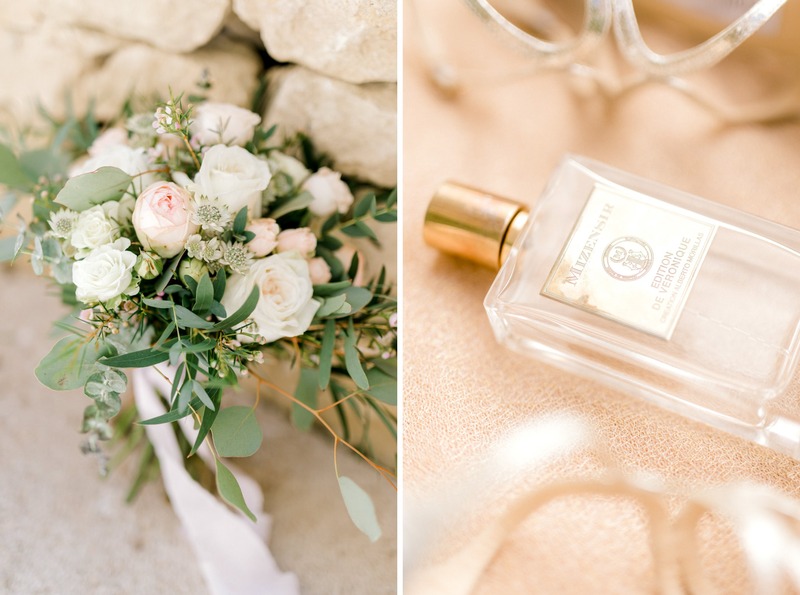 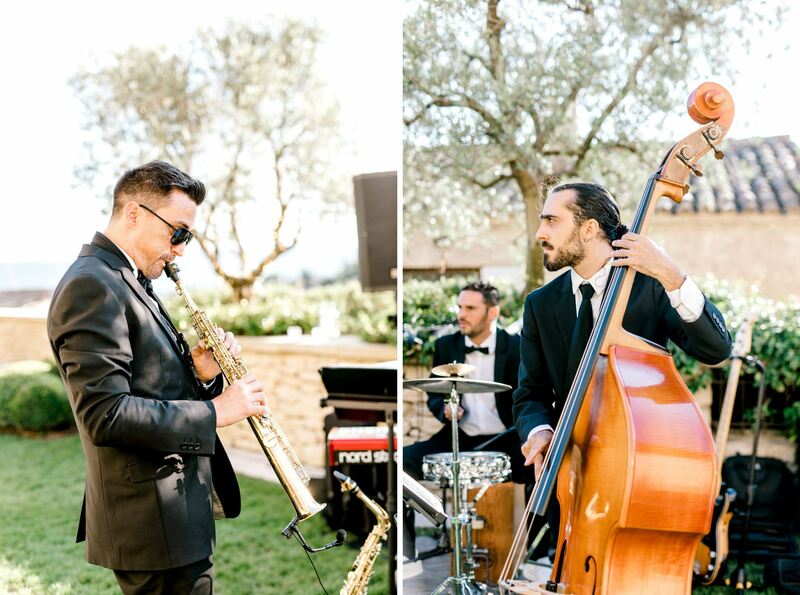 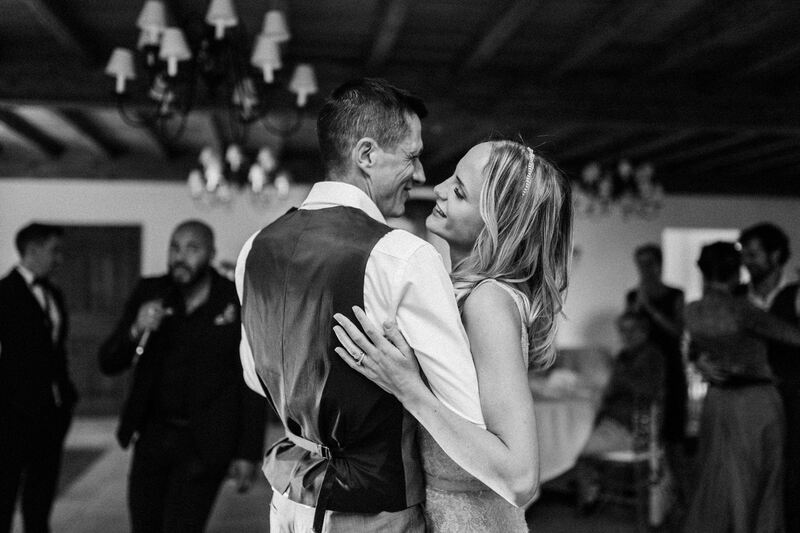 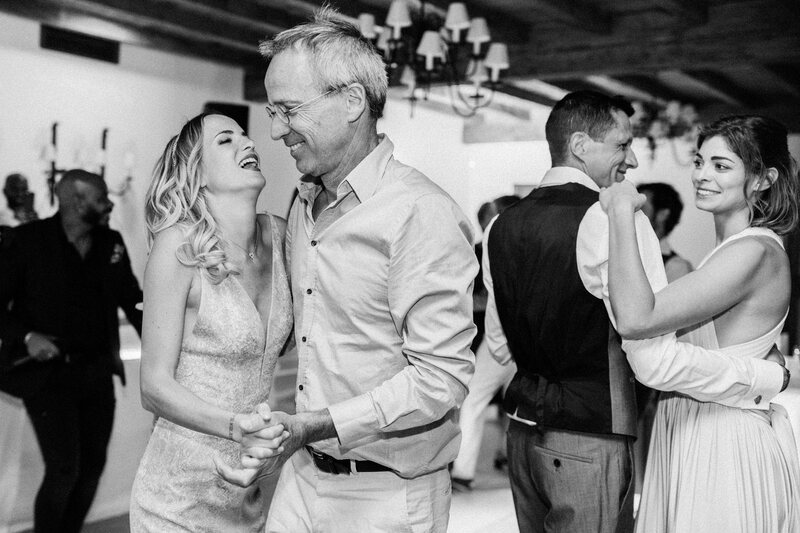 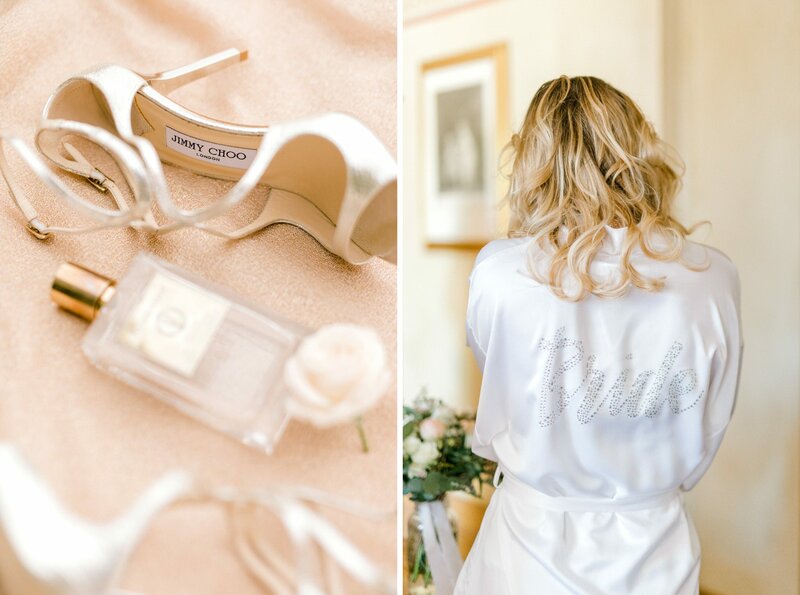 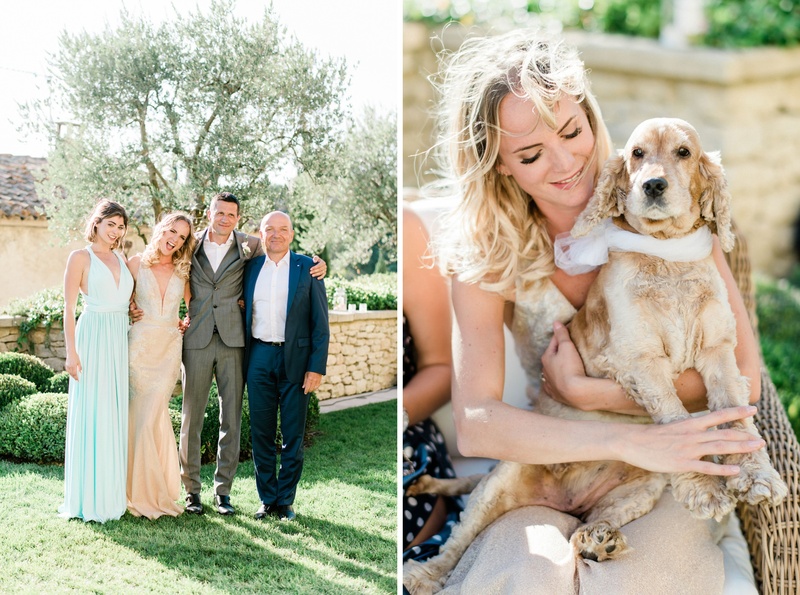 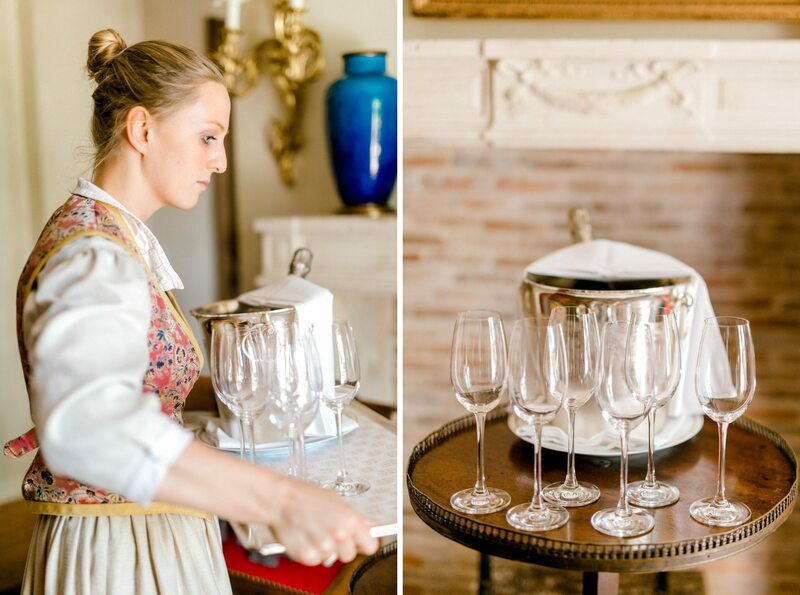 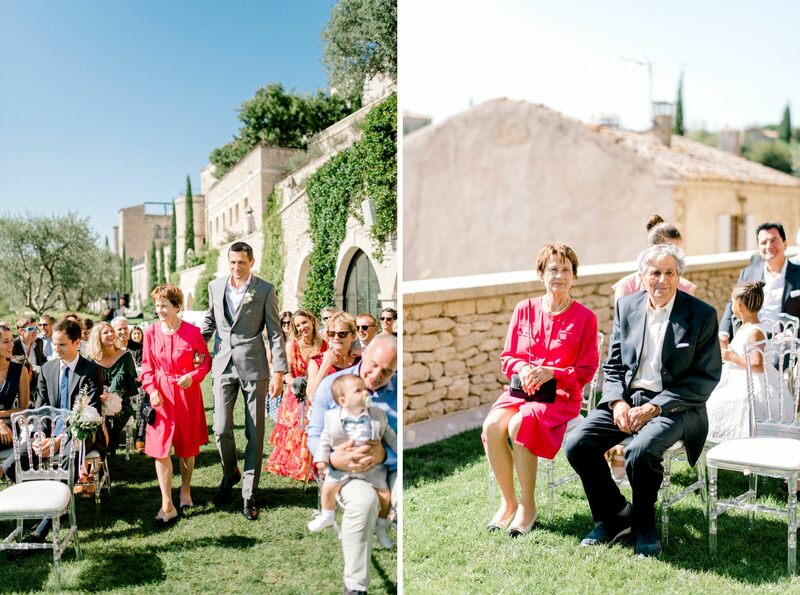 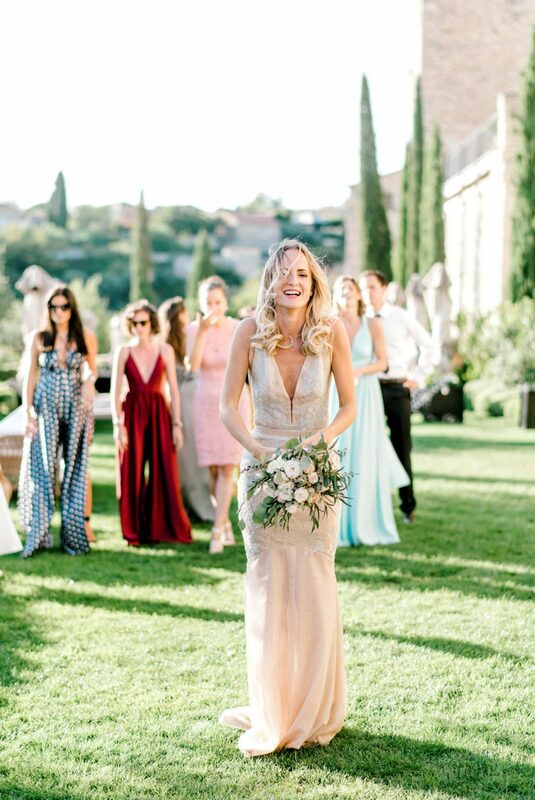 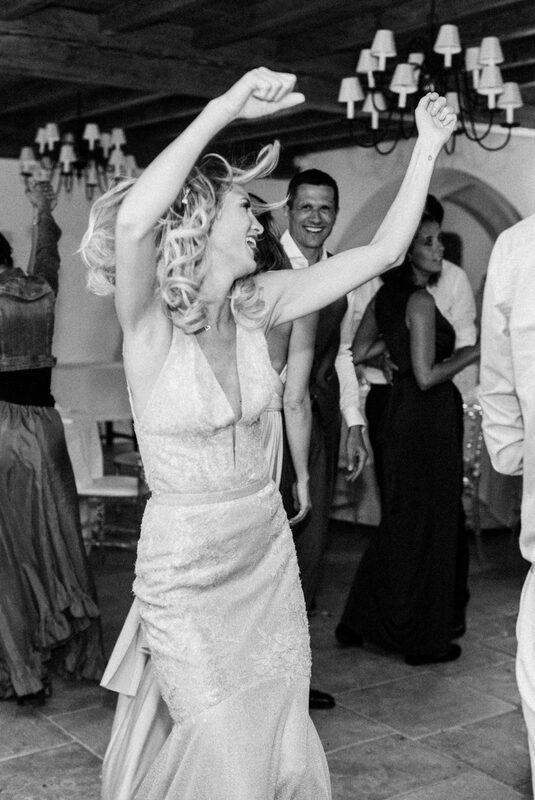 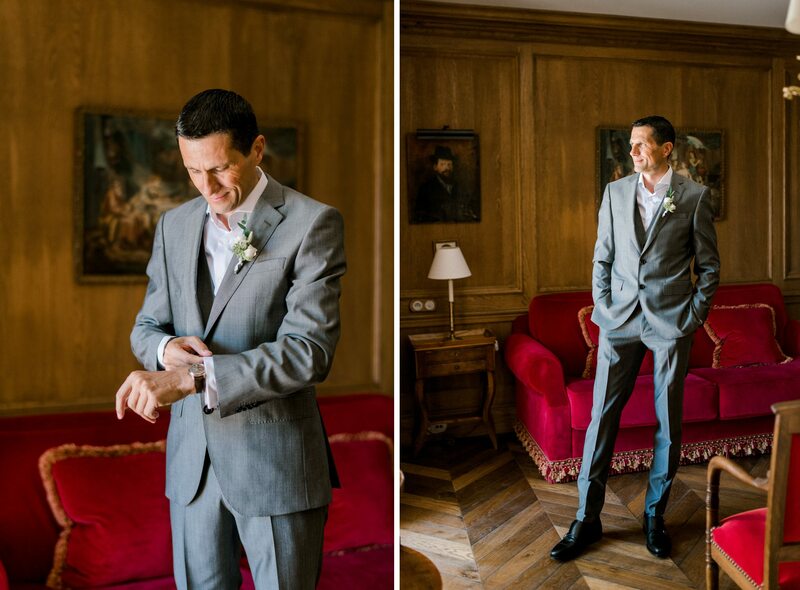 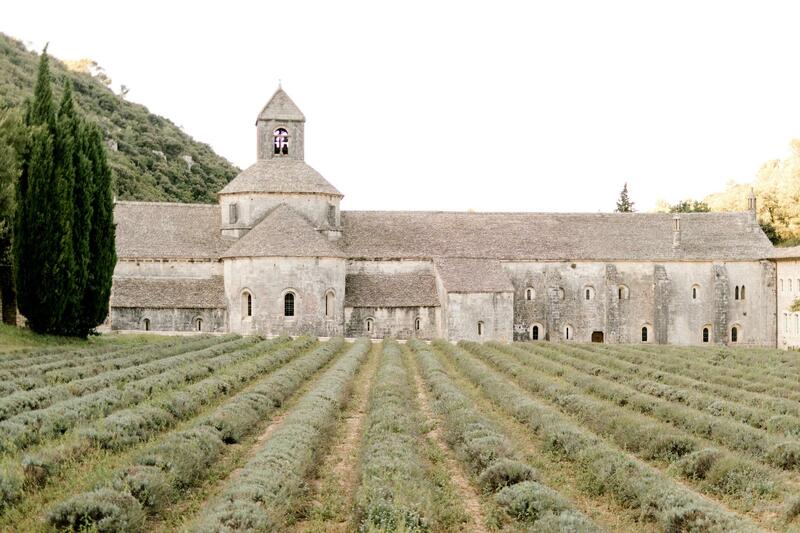 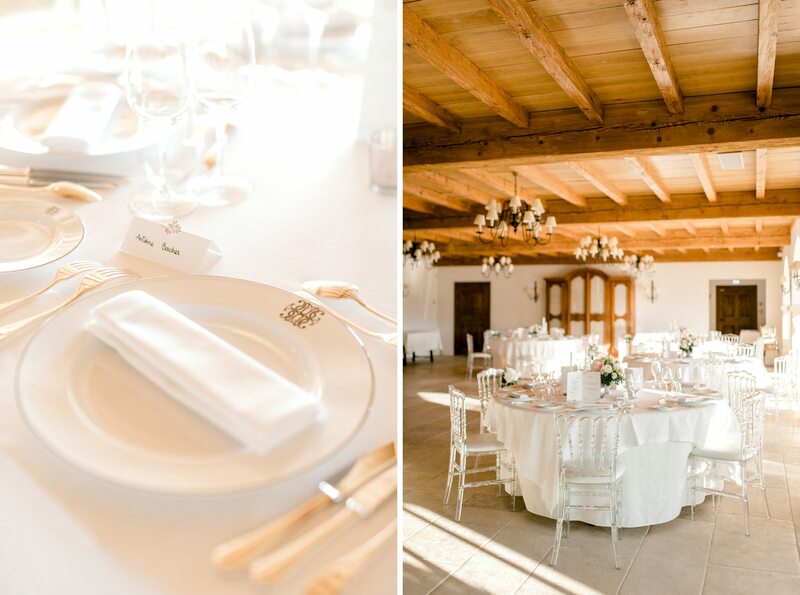 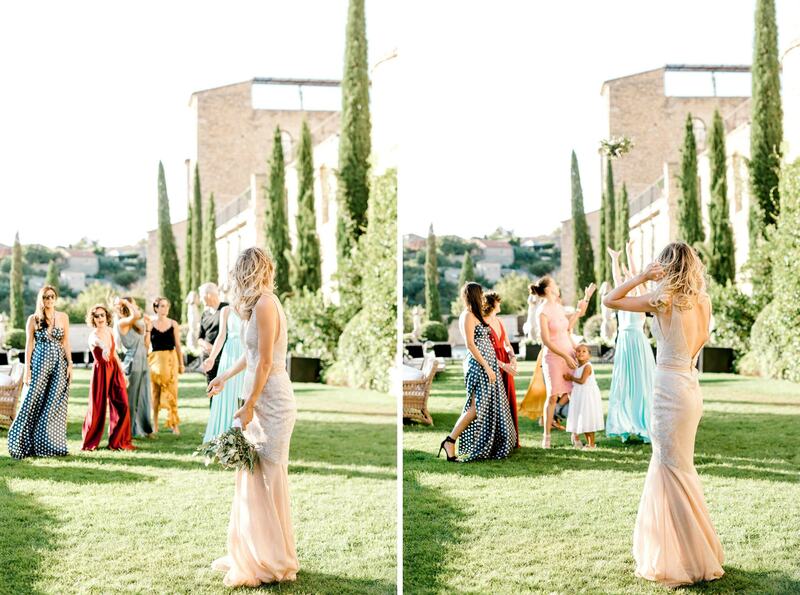 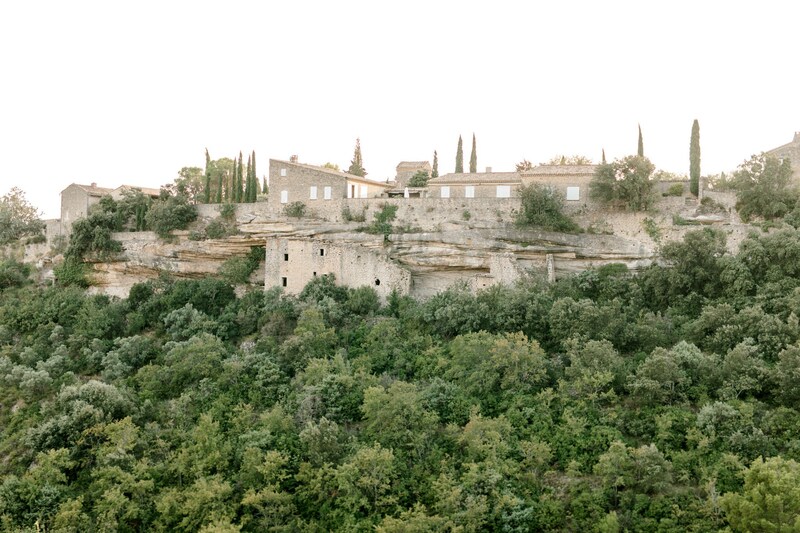 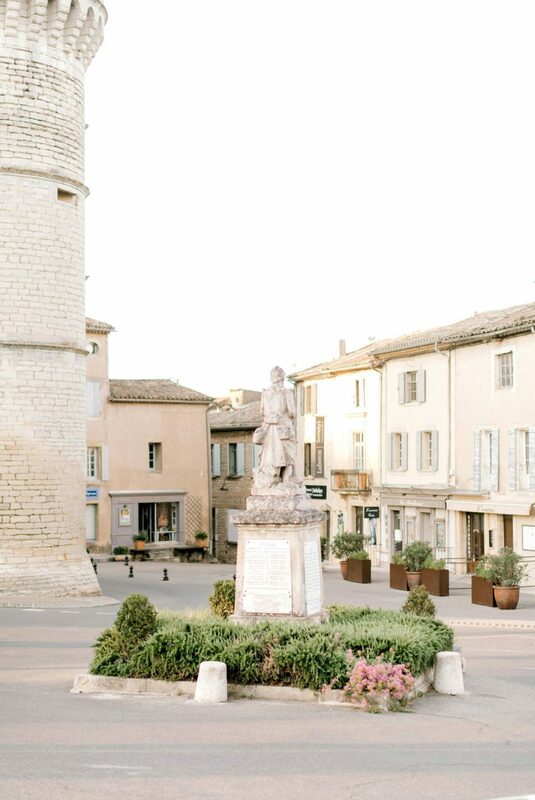 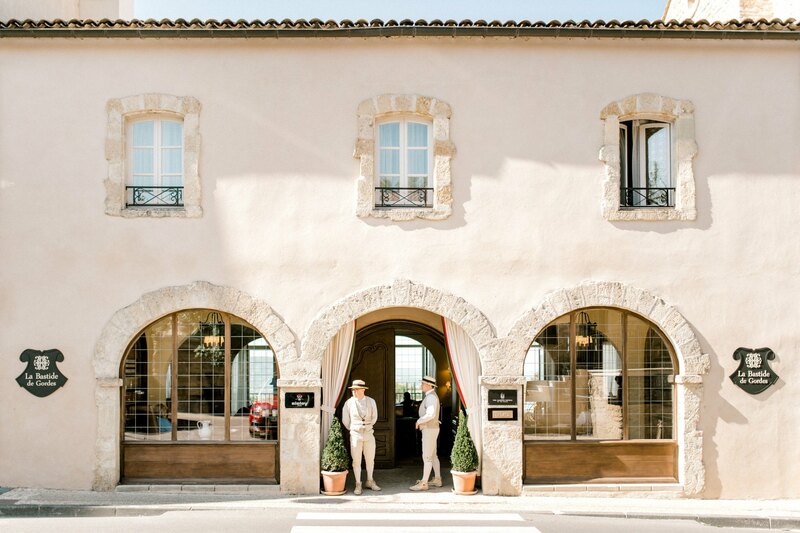 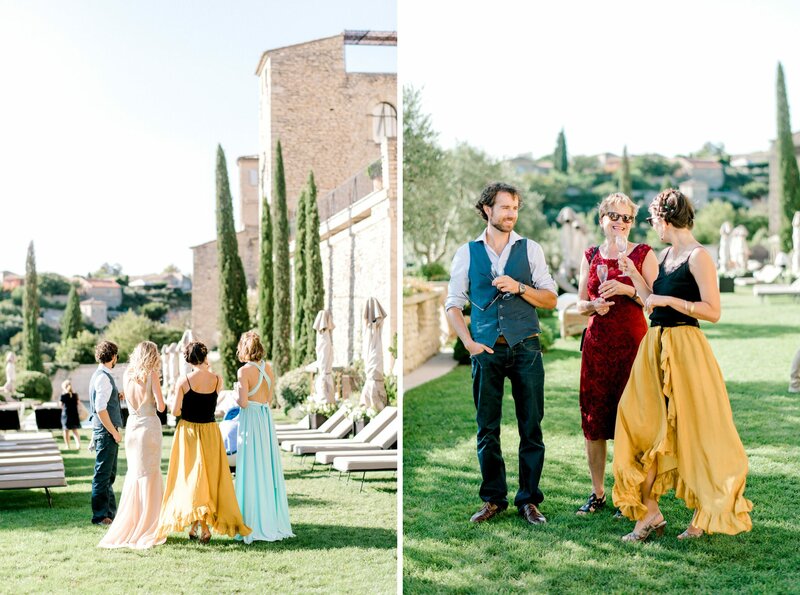 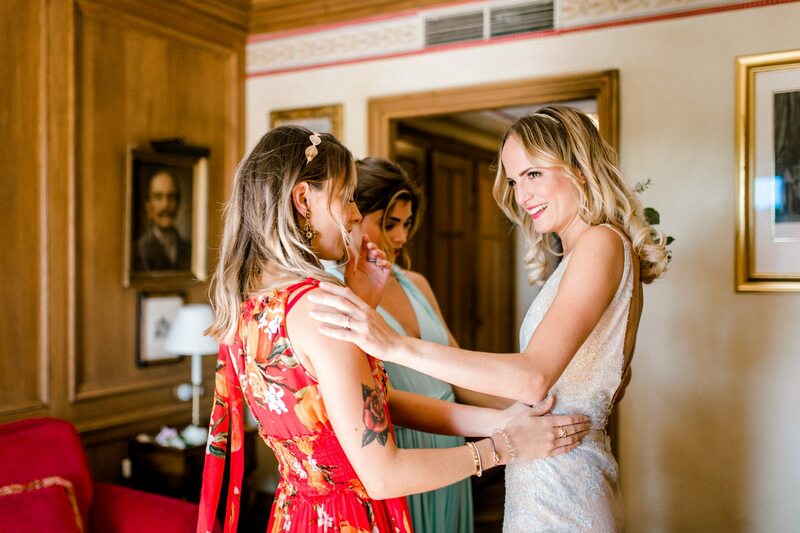 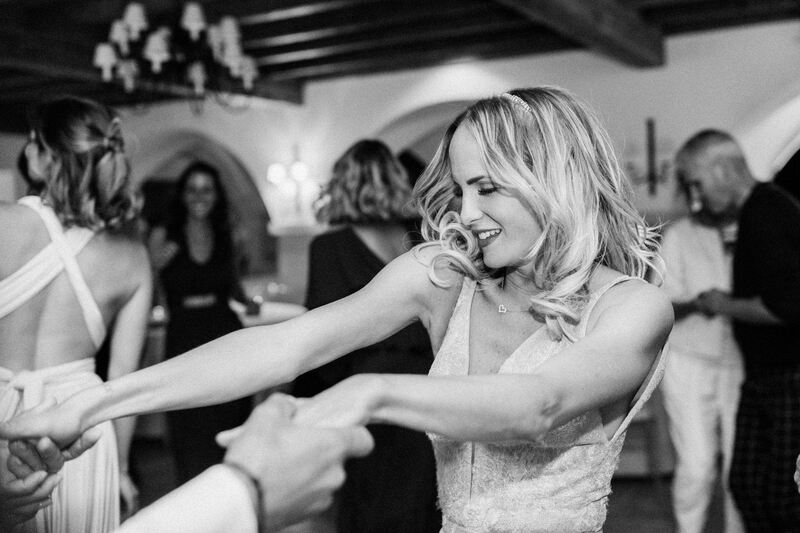 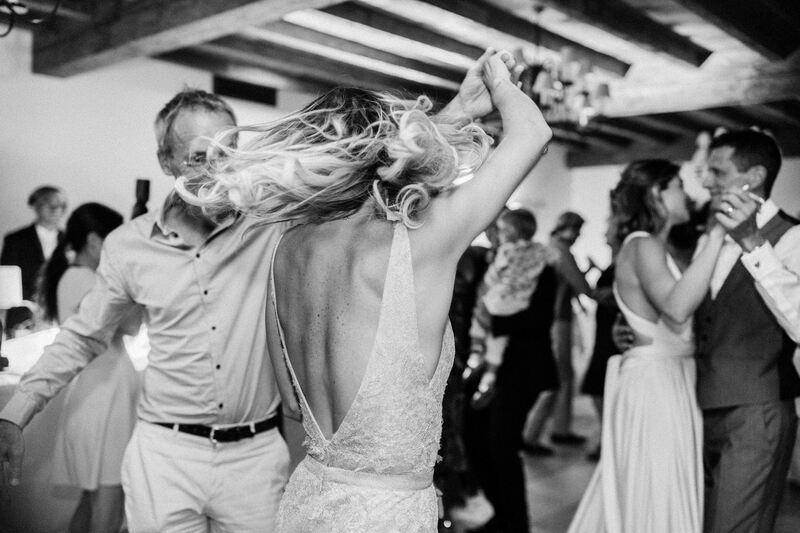 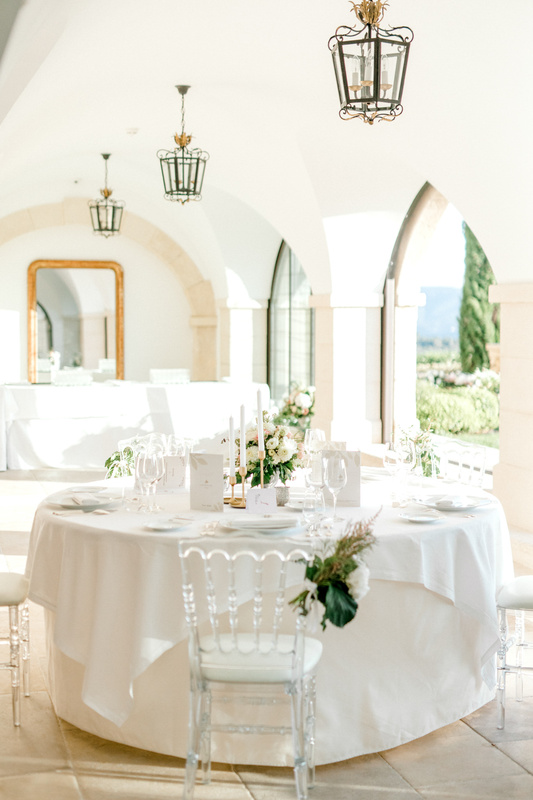 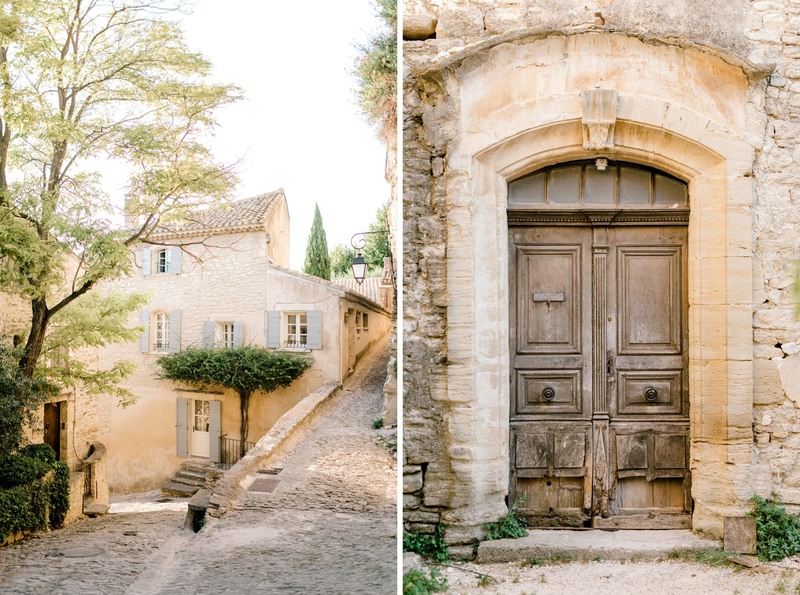 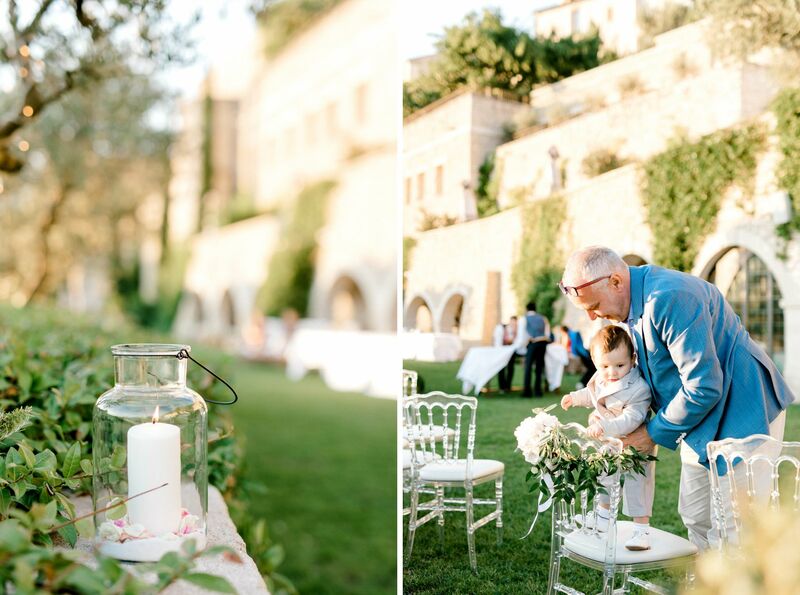 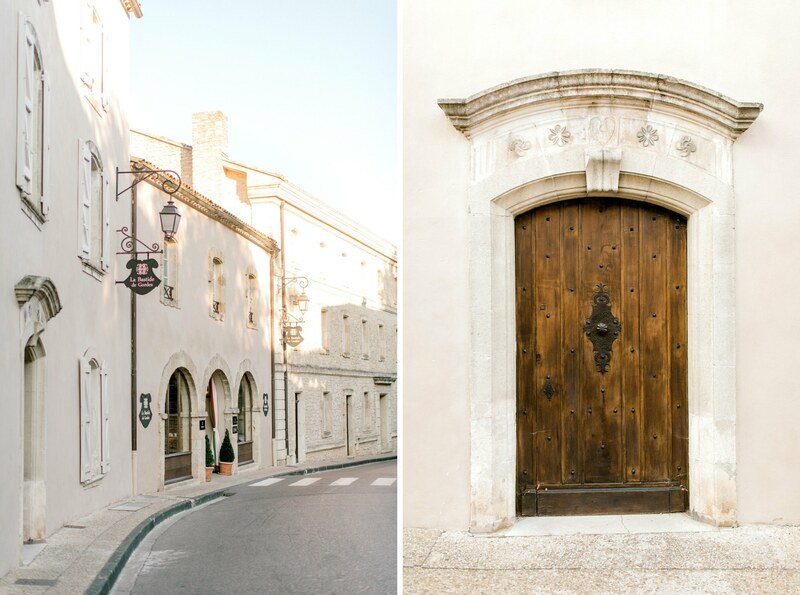 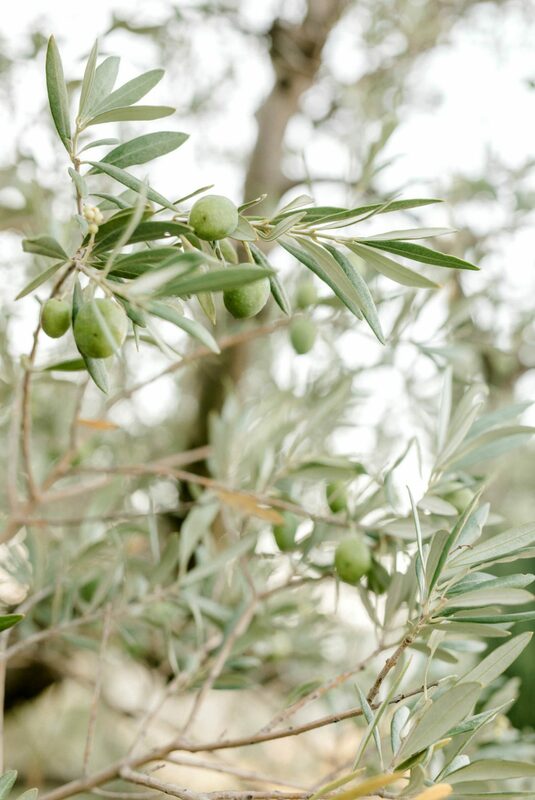 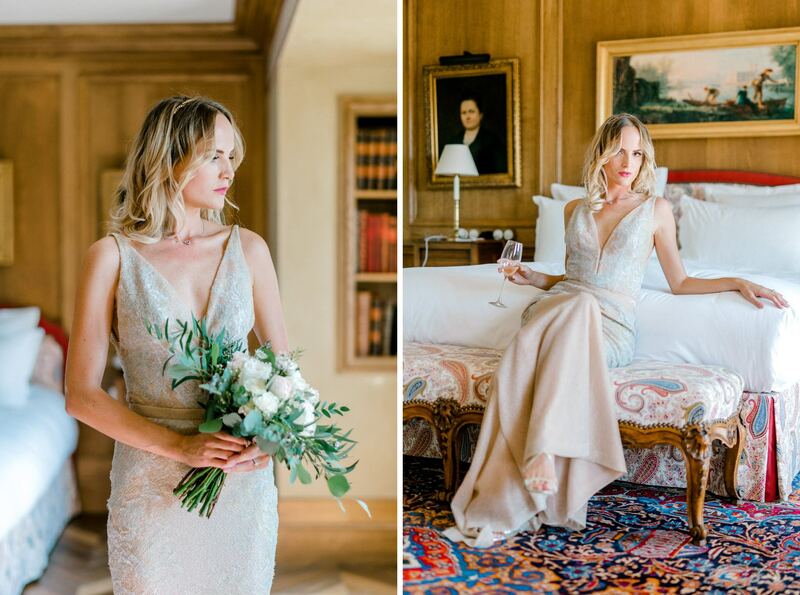 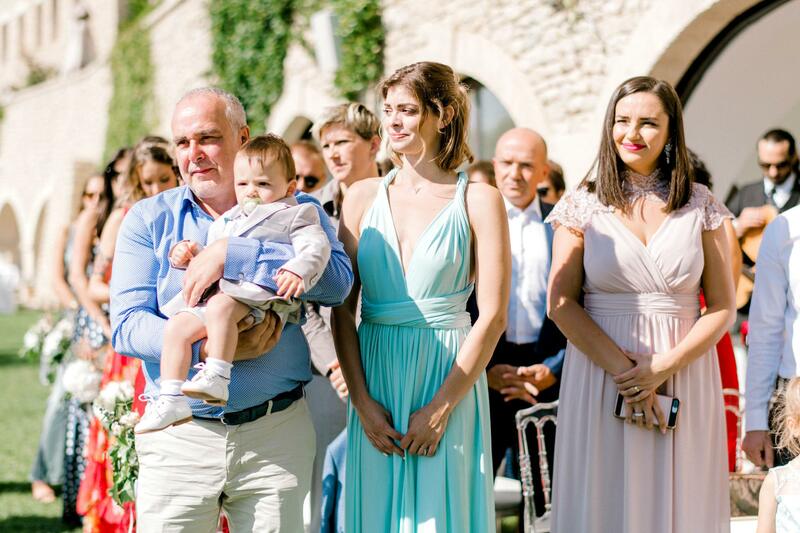 Peacefully ensconced amidst a jumble of terracotta rooftops, church towers and winding lanes, their wedding venue, La Bastide de Gordes almost teeters on the edge of the sheer rock of the Vaucluse plateau from which the village rises. 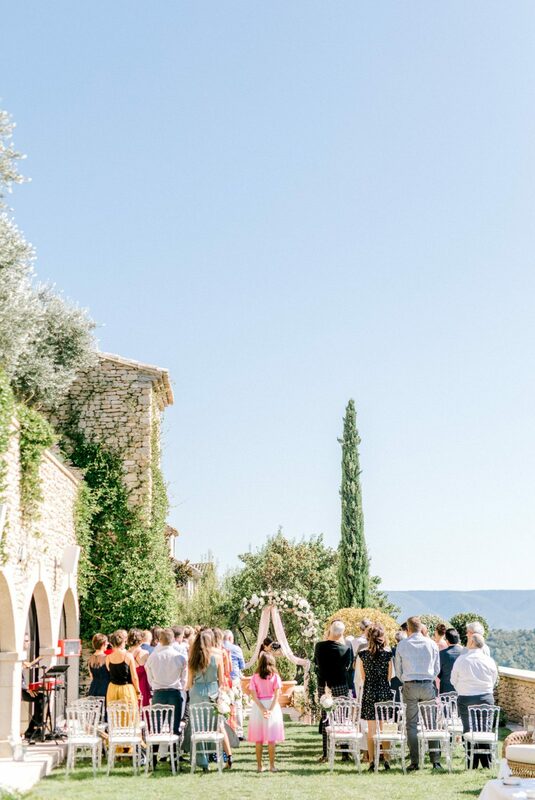 We could instantly tell it was not just the scenery that drew artists like Renoir, Chagall, Cézanne and Picasso here but the light, described by Matisse as ‘soft and tender, despite its brilliance’. 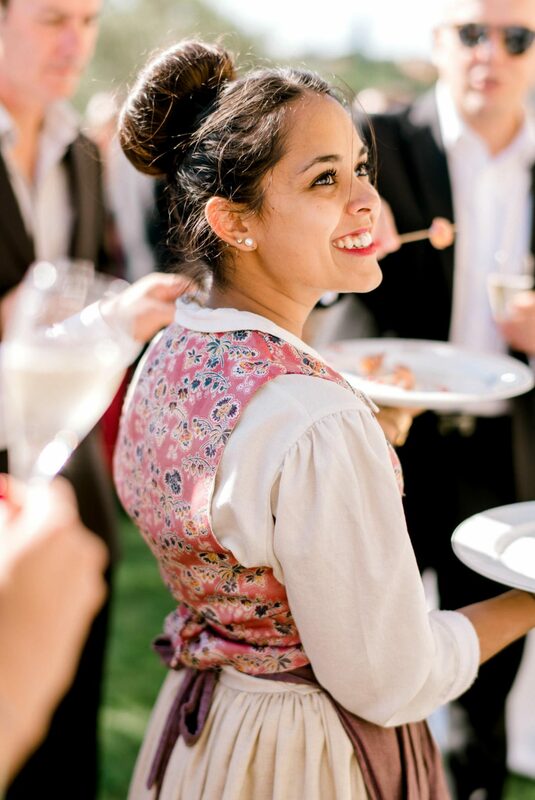 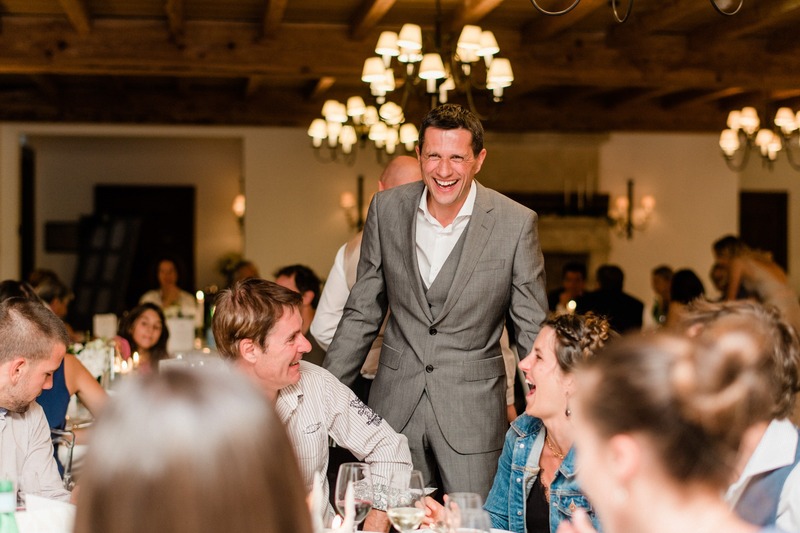 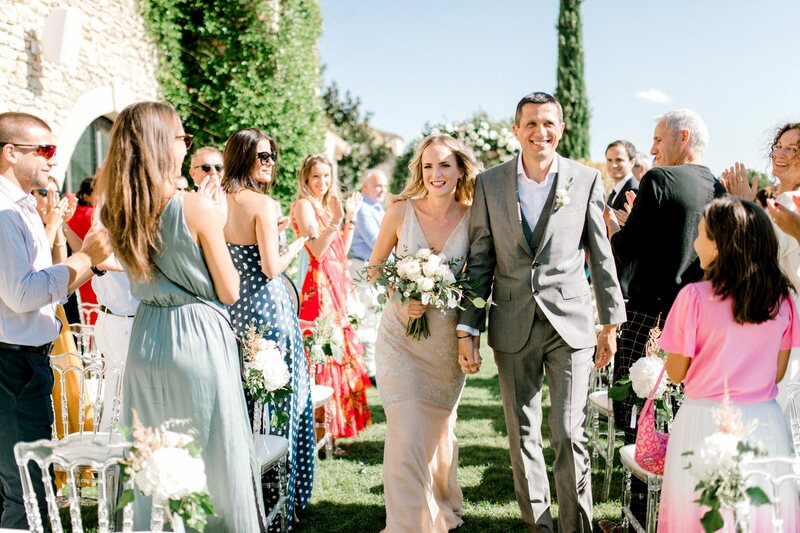 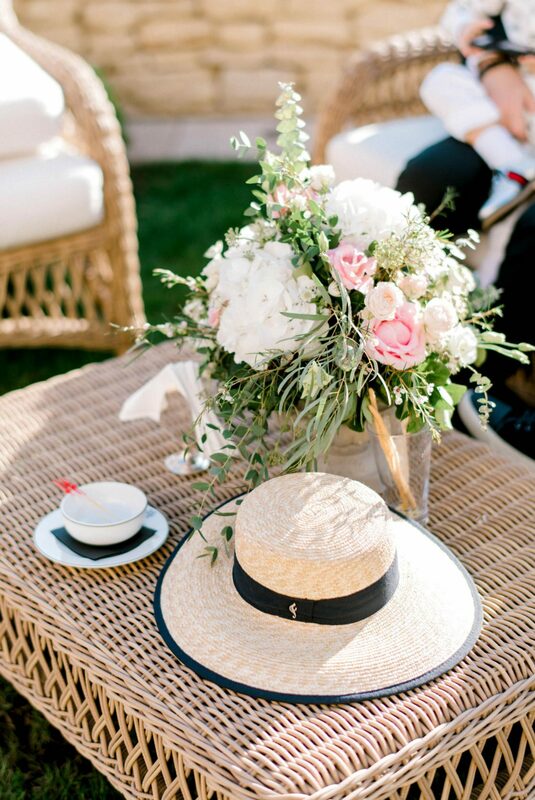 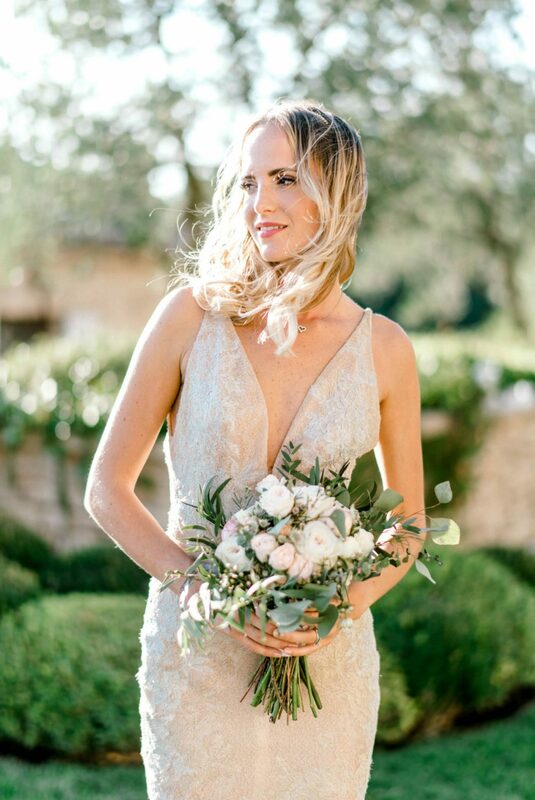 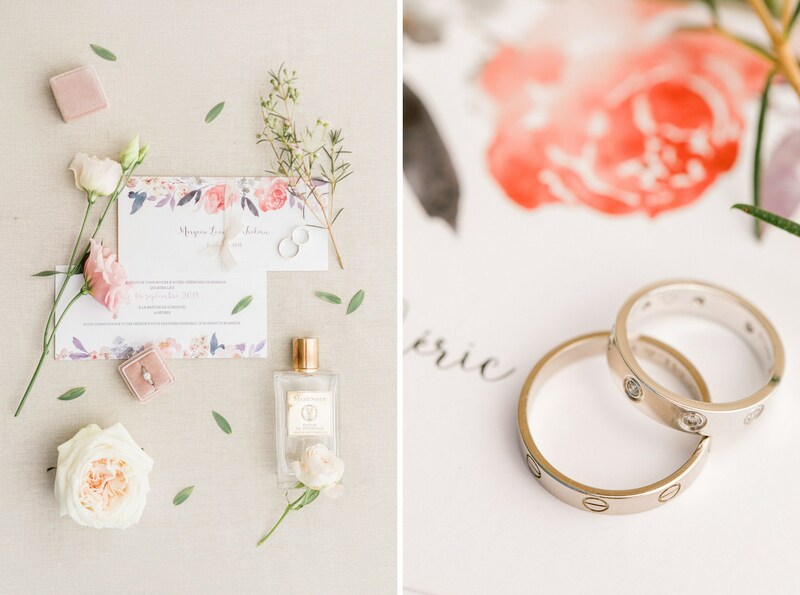 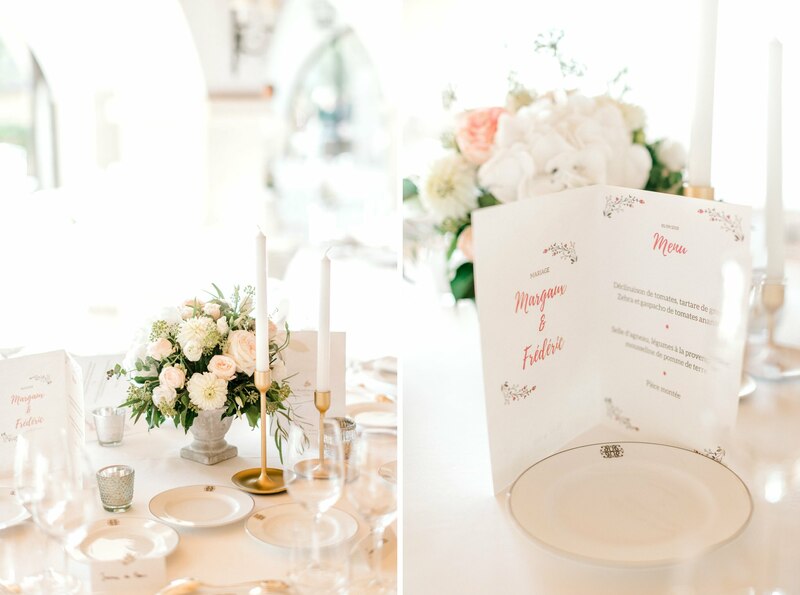 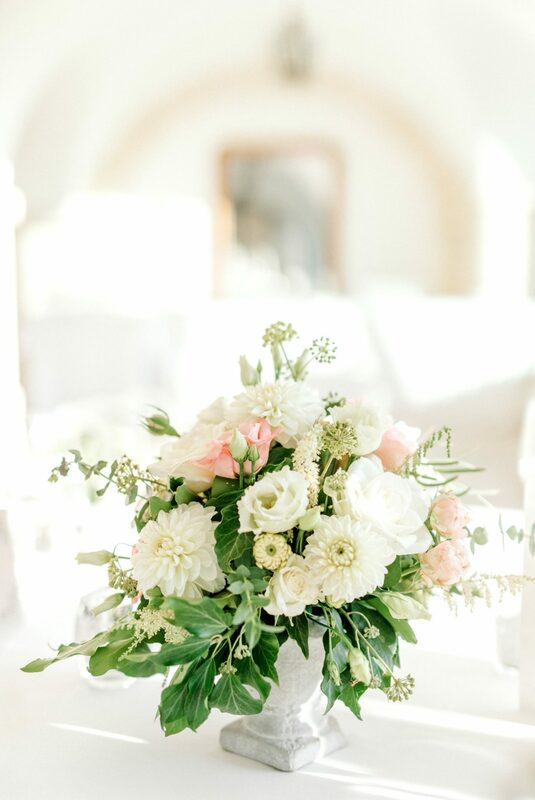 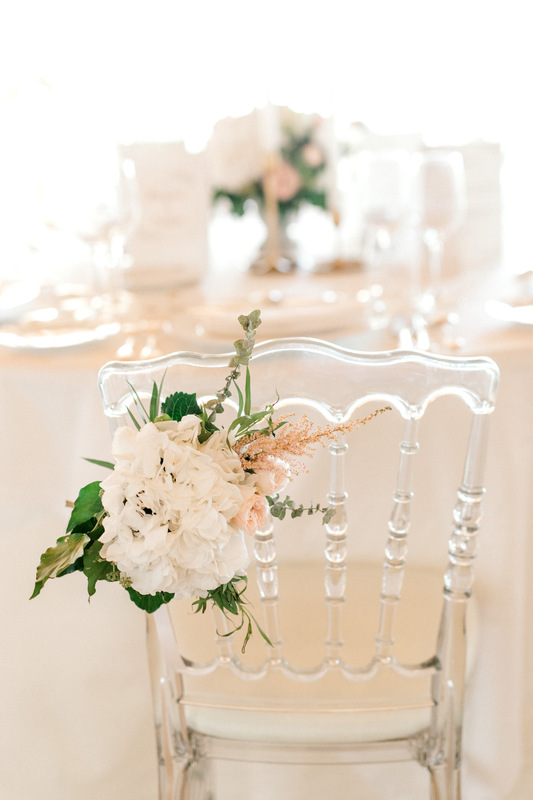 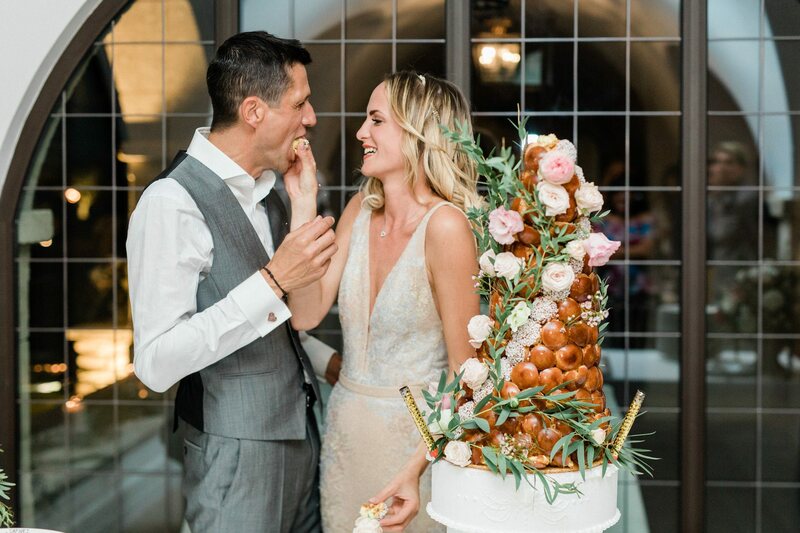 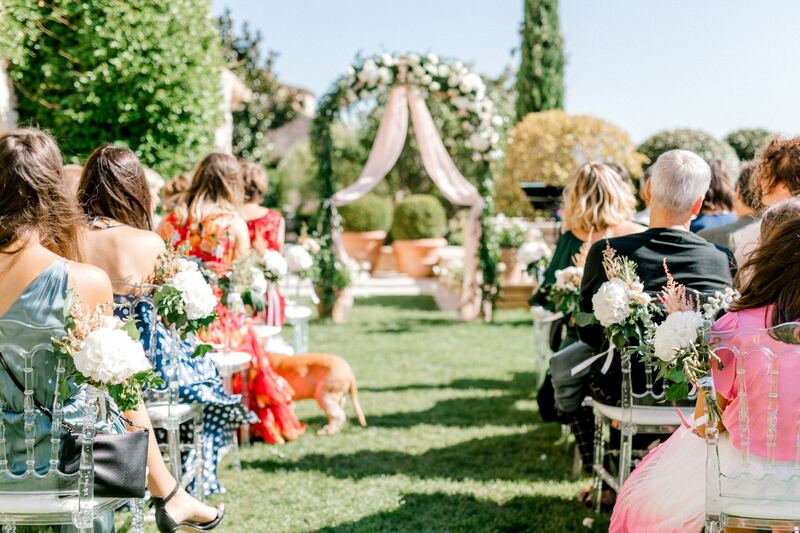 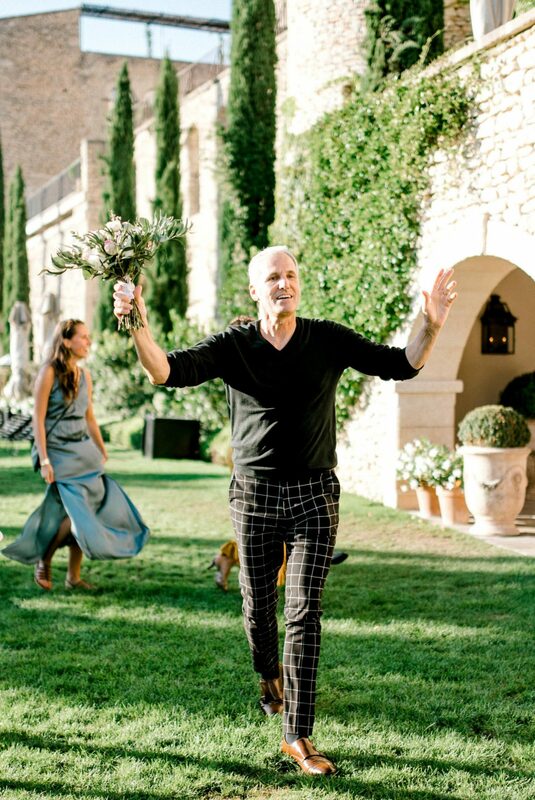 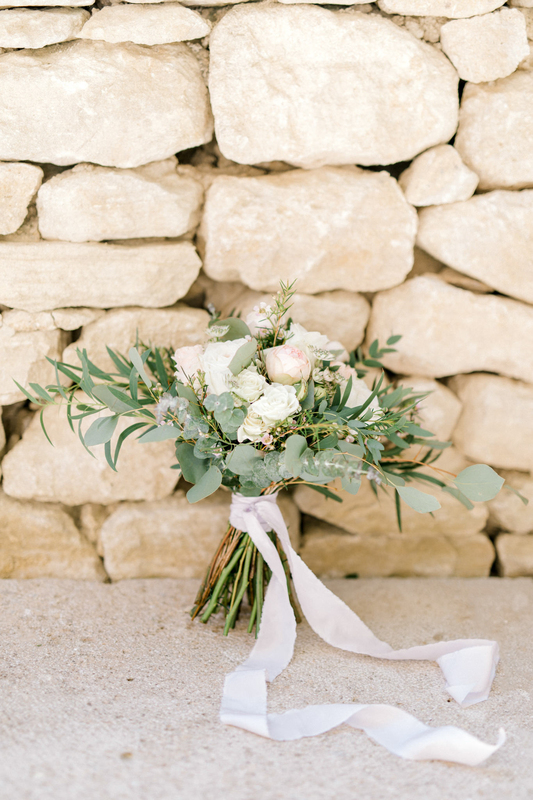 The day was magnificently planned and designed by Bastide de Gordes themselves, channeling all the fresh simplicity we love about Provence with florals brought in by Corinne L with touches of pinks, relating to the venue’s facade. 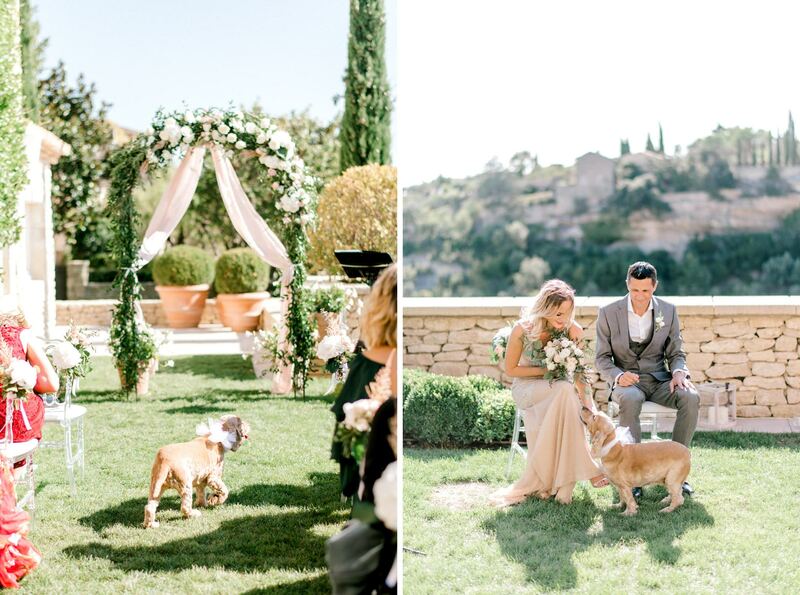 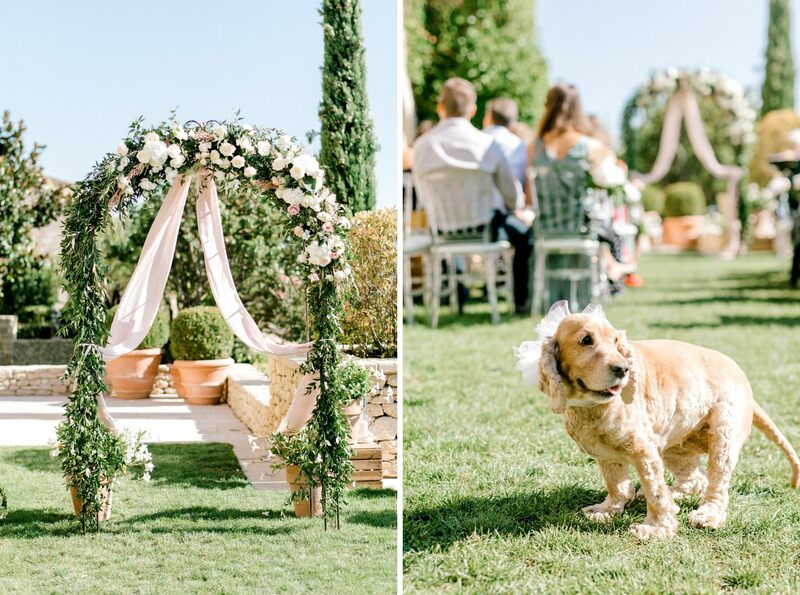 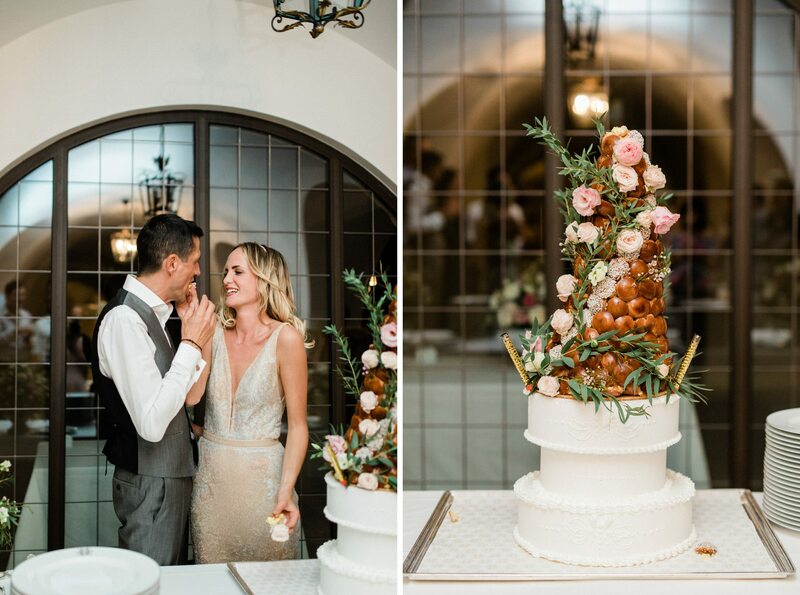 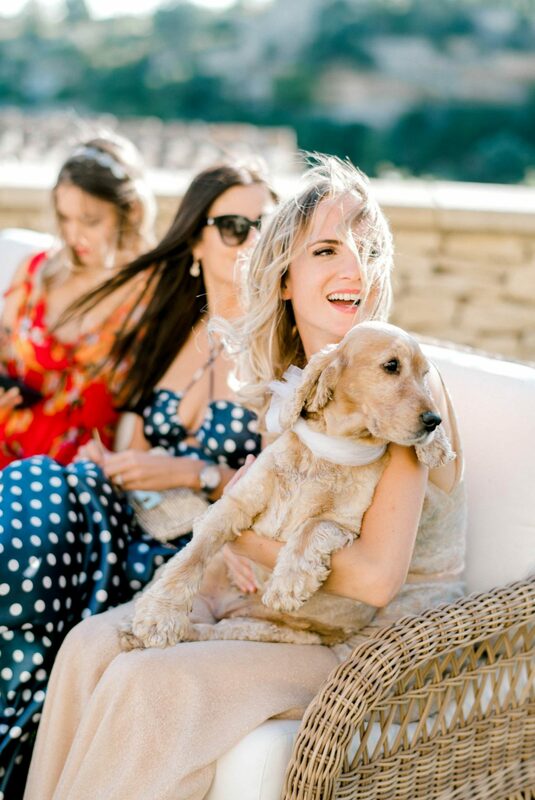 Add in a cozy ceremony with the cutest ring bearer – the couple’s Cocker Spaniel, Joy – the mellow tunes of a jazz band sweetly playing in the background during cocktail hour, the honey-colored stone glows like molten gold easing us into an all-night dance party and magical maquis-cloaked hills of Luberon’s hilltops and you can easily tell why our fascination with weddings in Provence can never wane!